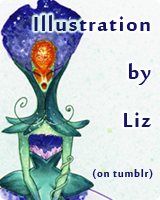 I can see the finish line I’ve set for myself to finish all of the 2014 releases that I’ve found to cover for my site. After this there’s just one more film left to watch and then shortly afterwards I will post my top 10 for the year. This movie is a Swedish film that I didn’t hear about until sometime around October or November, it’s another one of those questionable release dates as it did come out in festivals and in Sweden in 2013, but had a limited US theatrical run in May of this year and recently came out online. It’s a relatively simple story about a young girl growing up in Stockholm in the 80’s. She’s in the middle of a full-on awkward stage and is coping with it through her and her friends immersion in punk rock culture. There’s little to no conflict here, no big revelations, no character arcs, instead what is there is a lot of simplicity of story, characters that feel real, and very funny situations. I’m glad I got the chance to watch this before making my top 10 list, because there’s a pretty good chance that this will crack its way on there. The main character of this movie is a 13 year old Swedish girl named Bobo. She’s fairly average looking with round Harry Potter glasses long before Harry Potter was a thing. We’re introduced to her being bored during her mother’s birthday party where she proudly declares to the guests how Bobo cut her own hair which is now very short. It’s a fairly brief scene, but it tells the audience everything we need to know about the relationship between mother and daughter. Bobo obviously doesn’t want to be there, and her mother’s boyfriend gives a speech including how Bobo’s mother is “horny as a teenager”. There’s very much a sense that there’s a very weak relationship between the mother and daughter, but it’s never explicitly addressed. Instead, it’s merely shown through the moments like when she leaves a note saying that she’s staying over at her boyfriend’s place and there are fishsticks in the freezer, or when Bobo calls from her friend Klara’s house and her mother didn’t even realize she wasn’t at home. That kind of storytelling is really at the heart of this film that takes a look at a few months in the lives of three friends in the early 80’s. 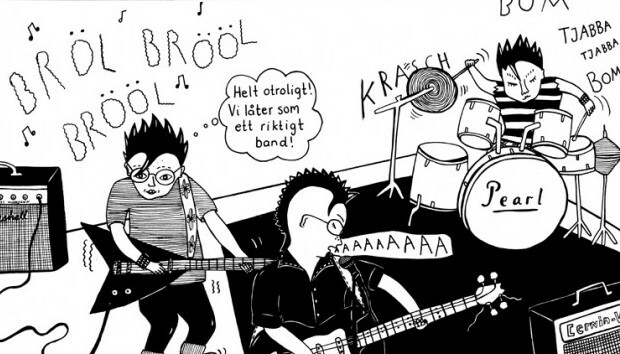 A panel from the original comic “Never Goodnight” written by the writer/director’s wife Coco Moodysson. The heart of the story is the friendship, both the already strong relationship between Bobo and Klara, as well as the newly formed friendship with fellow outcast Hedvig. Klara is the one with the mohawk, the alpha female if you will. It’s pretty clear that she is the one who decided that her and Bobo would become “punks” and we get to see that same assimilation when they bring Hedvig into the fold. One thing that the film understands completely is the impulsiveness of a thirteen year old. The two girls decide to form a band because they were annoyed by some teenage kids practicing their rock band in the common room that they didn’t officially sign up for. And so to spite them, Klara and Bobo signed up for the room, effectively kicking them out and leaving them with the community bass and drum set. Hedvig comes in later because they see her playing the guitar in the school’s talent show, and it helps that she’s an outsider as well. Though instead of being into punk, Hedvig’s family are devout Christians. Another great aspect of the realism of the film is how the topic of Christianity is dealt with. There is never a deep and drawn out discussion about God and religion, nor is there the obligatory scene where Hedvig has to go to church, or pray. Instead there’s a great scene after Klara cuts Hedvig’s long, straight, blonde hair into yet another short punk do where Hedvig’s mother gives the two of them what initially seems like an ultimatum. Either she calls the police, or they go to church. But it ends up being a lesson in peer pressure. The film often shows how these girls are still children, like when they catch snow on their tongues. There’s very little conflict within the story, aside from the confrontation with Hedvig’s mother which is played towards comedy. The biggest conflict happens when they reach out to a punk band that was interviewed in some magazine, they look up their phone number and arrange a meeting. It’s a typically awkward 80’s tween date, but Bobo is the one on the short end of the stick. She later goes to visit the boy by herself and later has a confrontation with Klara because Bobo felt like he “cheated” on Klara with her. In a date where they never even kiss. But like many conflicts with friends at that age, it’s very quickly and simply resolved without any lasting consequences. 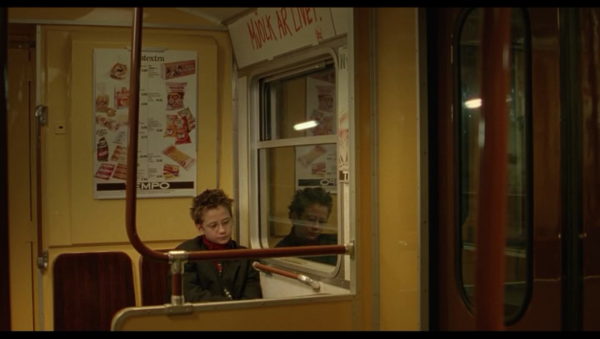 One of the few introspective moments of the film. Aside from the friendship, what’s really prevalent throughout the movie is the music. 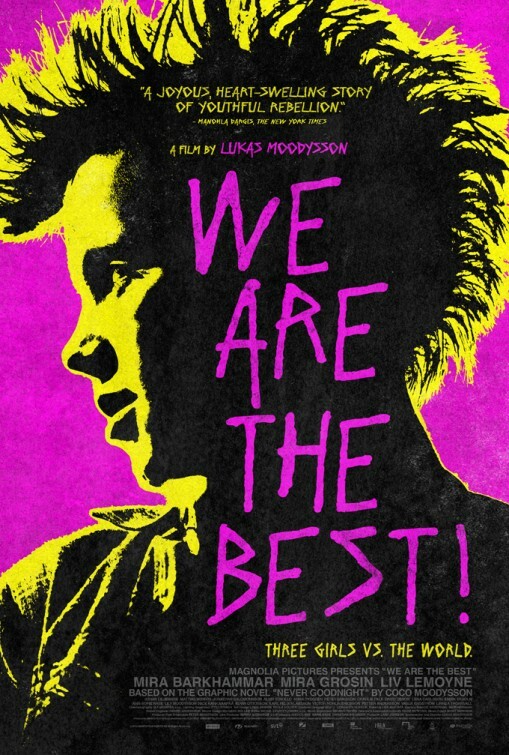 There’s plenty of Swedish punk bands on display, and even though the songs aren’t quite recognizable for those who live in the US, the mood captured is completely fitting within the film. Especially some of the moments where Hedvig sings some of the punk lyrics in a very non-punk way. The song that their band comes up with is very much something that one would come up with at that age. It’s basically just a song to showcase the fact that they didn’t want to participate in gym. Their progression as a band is also fairly believable, from essentially flailing at their instruments to something resembling music. It still has the rawness of a beginner, and the rawness of the punk spirit, especially when the film finally gets to their first gig; a Santa jam in January in a little suburb where they get booed and start agitating the crowd. It’s difficult to put a finger on what makes this film so enjoyable. There’s plenty of humor throughout, but it’s never a full on comedy. There’s the elements of a coming of age story, but none of the characters really go through any changes other than Hedvig. But everything really just feels real and heartfelt, each of the three girls are relatable, and even if you’re not Swedish, or even a woman, there’s something that you can find that likely happened to you. 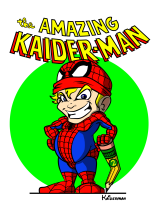 Posted on January 10, 2015, in 10's movies and tagged comic book, film, foreign, movies, review. Bookmark the permalink. 9 Comments. I loved this movie. I am a big fan of coming of age stories but I don’t think we see enough female ones, which is why I think this one is so special. And most of the female driven ones also have a fantasy component to them, like Alice in Wonderland, Labyrinth, Mirrormask, Wizard of Oz, etc. No arguments from me as you know. I love this movie the more that I think about it. I love the way it shows 13-year-olds that don’t feel like adults. They’re right in the middle and still figuring out who they are, and we really see that with Bobo. The ending is so perfect. There were a few moments here and there where I thought they were acting a little bit too childish, but I also don’t have a 13 year old yet it probably is reasonable that 13 year olds still act that childish now and again. It’s a very simple story, but the characters are so well defined that it’s easy to really connect with them. And all the characters are really likable too, even when Bobo gets upset with Klara, it’s a very 13-year-old version of being upset with someone so the audience isn’t really upset with Klara. Didn’t know about this one. Need to give it a watch. Thanks Bubbawheat! Sure thing! It’s a great little flick.